What's Easter without a giant chocolate bunny? Exactly. So I went to go find one. But that wasn't enough, I found a chocolate bunny filled with gummy bears. And on top of that, I found a dark chocolate basket with a tiny bunny in it. Does it get any cuter than that? As it turns out, Sjaak's has a ton of awesome Vegan Easter stuff. The Organic Chocolate Easter Basket with Bunny and Eggs is adorable. Everything is edible except for the green "grass" and the egg wrappers. You can get it in dark or "milk" chocolate. Buy two so the bunny can have a friend. 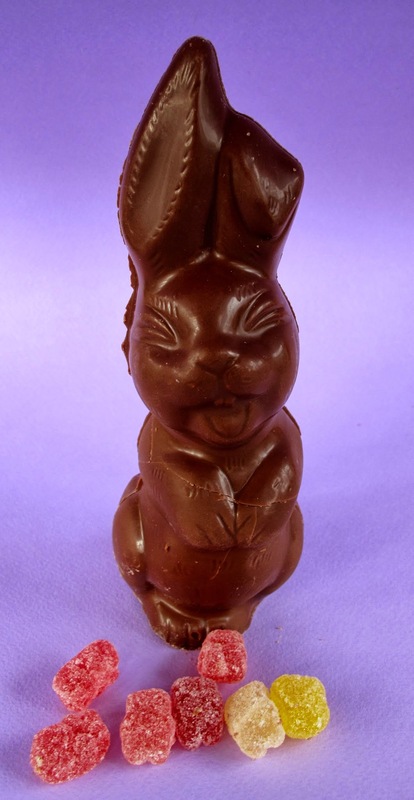 Now for the greatest invention ever, the Organic Chocolate Bunny Filled with Gummy Bears. You're like, how is that even possible? But it is. Crack that sucker open and gummy bears come out. And they say Veganism is boring. Yeah right, thanks Sjaak's! Ok, let's go back to the year 2000. 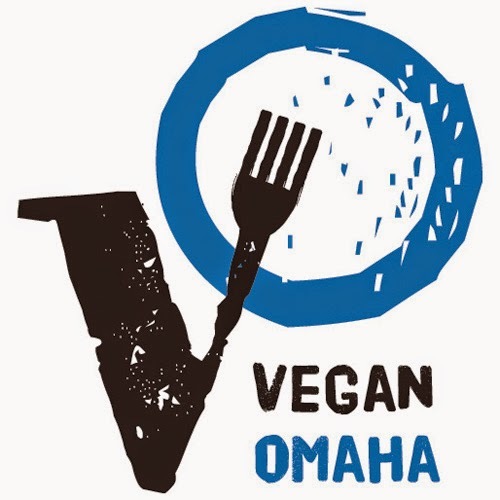 I was on the verge of going Vegetarian, I was trying new foods like meat-analogs and dairy-free milks and I was getting tempeh and hummus mixed up (I'm from Nebraska, cut me some slack.) Tofu seemed like this wonderful protein that I had no idea what to do with. Organic produce had more flavor and I consumed more veggies than I ever had before. But one thing I really appreciated was Amy's frozen dinners. They were on the natural side of things, with great ingredients, but the food didn't seem super alien to me. I could relate to a frozen dinner, it wasn't intimidating. Anyway, my first Amy's frozen dinner was the Veggie Loaf. I was blown away by the flavor and the texture and I knew I was on the right path. It was my favorite frozen dinner up until I went Vegan in 2003. You see, the Veggie Loaf had honey and all these years I've been upset that honey was the only thing keeping me from eating it. Like, change the one ingredient and so many more people can enjoy the dinner. Well, to my surprise, Amy's finally got rid of the honey and now I can once again enjoy some delicious Veggie Loaf! So after all these years, I finally have a Vegan Amy's Veggie Loaf in front my face. I'm trying to remember what the old Veggie Loaf was like. As I recall, the loaf itself was denser and the tray had separate compartments for the sides. I kinda remember a dessert of some type? Also, I'm pretty sure the original wasn't gluten-free. Anyway, this is a totally different meal and I'm ok with that. The new loaf is tasty, something that would be an excellent gateway food for a veg interested person. It's familiar enough while still having some of the characteristics of meat. The veggies, mashed potatoes and gravy were good as well. Everything cooked evenly in the microwave and was delicious. My only complaint would be that it seems like less food than it used to be. I know it's not the year 2000 anymore, so that's just wishful thinking. But you know me, I could easily eat two of these dinners. I'm happy Amy's finally made their Veggie Loaf Vegan, and it's definitely back on my list of favorites. Thinking about the old Veggie Loaf made me nostalgic and it really got me to think about my long and windy road to Veganism. I'm glad Amy's was there at that transitional time in my life and it's exciting to relive that again. Obsessive Confection Disorder just sent me an Easter sample box that is out of this world! OCD is back with their version of the Cadbury Creme Egg called the Sweet Dream Egg. Humongous and amazing, the flavor takes me back to the days of eating Cadbury eggs until my tummy hurt. These are an Easter must. Rhesus Peanut Butter Eggs are a Vegan version of Reese's Peanut Butter Cups. These too were giant and quite addicting. 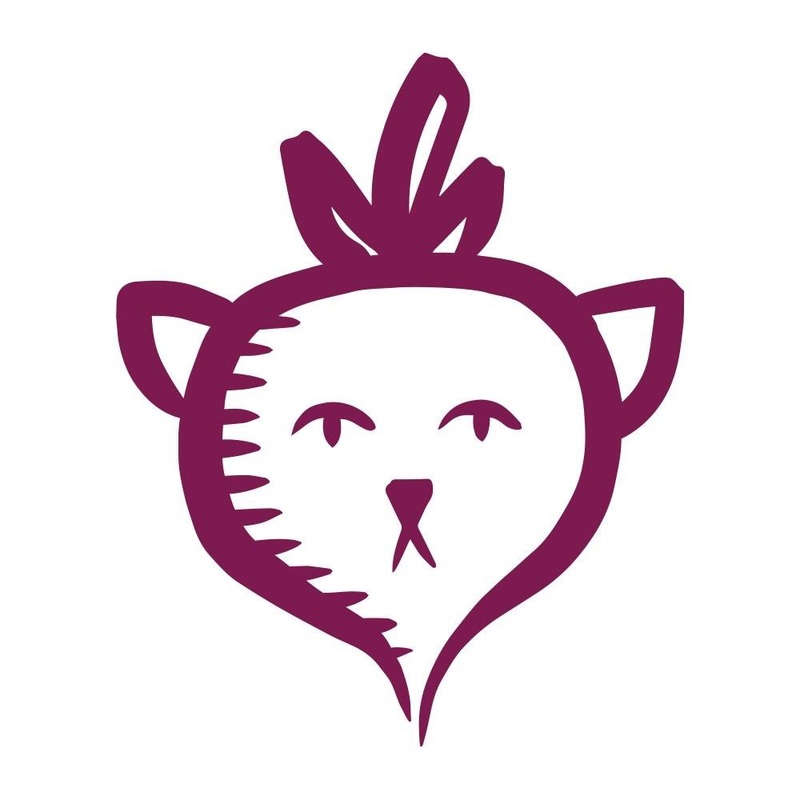 Best yet, OCD is donating 20% of the profits from Rhesus PB Eggs to a primate organization. Win/win! If you are a pb and chocolate lover, you'll be in heaven. So delicious. Chocolate Covered Peanut Butter Caramel is a newbie that OCD is testing right now and will hopefully be for sale soon. All I have to say is peanut butter caramel. Holy crap! It's a winner. I always liked the Caramel Not Corn well enough, but the Chocolate Caramel Not Corn is on a whole other level. I'm gonna be real and tell you I just ate the whole tub today before writing this blog. It's the crunchiness equaled with the melt in you mouth flavor that makes it so addicting. A new classic, I say. Violet Caramel is also another newbie. It's like a caramel meets a chocolate bar with apple & lemon juice plus violet extract. It is unlike anything I've ever had before and I love it. Hope you can try this and the rest of Obsessive Confection Disorder's treats soon. Have a Happy Easter! Is it ever the wrong time of year for So Delicious Minis? 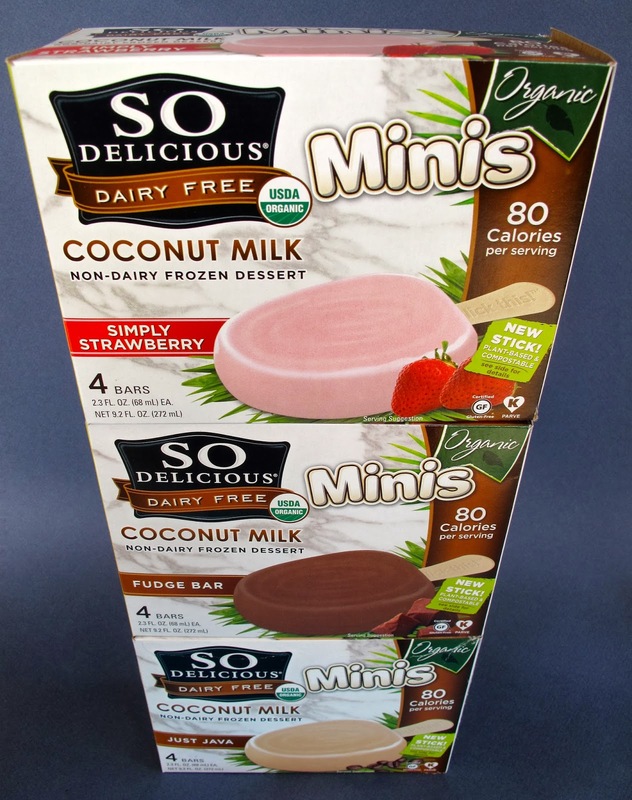 Apparently not, because So Delicious has just released three new Coconut Milk Minis flavors! In the past, there have been Almond Milk Minis and Agave Sweetened & Chocolate Covered Minis (all which were DELICIOUS.) The new flavors are Simply Strawberry, Fudge Bar and Just Java. I'm a sucker for ice cream bars and I love that there's so many options out there now. I appreciate So Delicious sending me a box of each to review. So despite the sub zero temps (in Omaha at least) let's try these Minis out! Let's start with my favorite, Simply Strawberry. I'm always a sucker for strawberry anyways, but this really was my jam. To me, it tastes like strawberry Julius bars. If you even slightly like s-berries, you'll love 'em. My next favorite is the Fudge Bar, this one is pretty self explanatory. A yummy chocolate bar. Nothing new, but I'm diggin' it. The last of the new Minis bars is Just Java. It's a coffee tinged bar. Not really my style, but you java lovers will be into it. Talk about a wide spectrum of flavors! So no matter your flavor preference, there is a Minis out there for you.